Smooth and quiet, the Ford F-150 is comfortable on bumpy streets around town, over rugged terrain at construction sites, around farms and over utility roads, and on the open highway. Its steering is nicely weighted and requires little correction on the highway making it nice for long cross-country tows. The cabs are comfortable, whether ordered with leather or cloth. 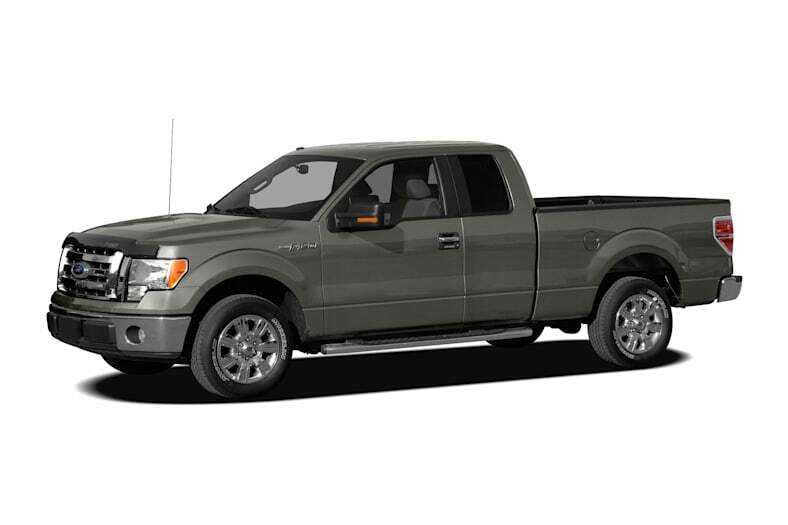 The 2012 Ford F-150 lineup offers a plethora of models in dozens of permutations. All are highly capable trucks, even those loaded with luxury features. The F-150 was completely redesigned for 2009. For 2011, the F-150 received a new engine lineup and electric-assist steering on all but 6.2-powered Crew Cabs. For 2012, the Lariat Limited model is no longer offered, but one of the nine F-150 versions should be close enough. A new FX appearance package is for 2012 F-150 FX2 and FX4 models that includes 20-inch wheels and lots of flat-black trim inside and out. The FX Luxury package adds cooling to the heatable front seats. Other noteworthy changes include electric shift-on-the-fly four-wheel drive for 2012 F-150 XL up to Lariat models, while 2012 F-150 Lariat, King Ranch and Platinum offer a 4x4 auto mode that requires no driver action and hill start assist. All 2012 F-150 4WD models can now be flat-towed behind another vehicle, like a motorhome or larger construction truck. And a new locking rear differential for 2012 is offered on more axle ratios and 2WD models than the old limited-slip was. The F-150 lineup runs the gamut from wash-off vinyl flooring and a two-door Regular Cab to leather-lined premium four-door models with as much rear-seat legroom as the front of most luxury sedans: Within those extremes lies something for everyone. Yet even the least-expensive F-150 isn't boring; it leaves room for customization, does the work required, and keeps overhead down. Two V8 and two V6 engines are offered, all with 6-speed automatic transmissions. Standard on 2WD is a 302-hp 3.7-liter V6. Other choices include a 360-hp 5-liter V8, the only engine offered on every cab/bed combination, a 411-hp 6.2-liter V8 on SuperCrew short beds, and a 365-hp twin-turbo 3.5-liter V6 on all but regular cab short beds. Each engine except the 6.2 offers multiple axle ratios.